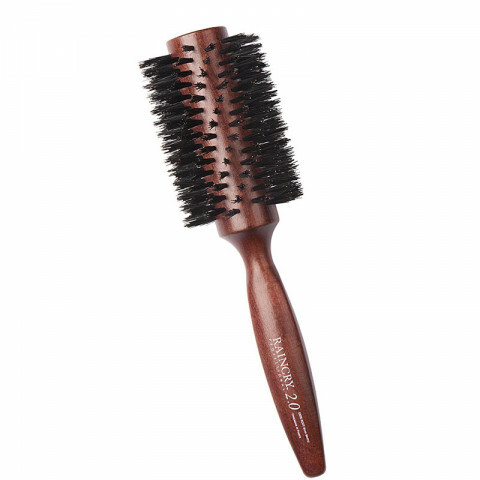 RAINCRY's large sized brush is ideal for long hair (past shoulders) and used to smooth, polish and enhance shine. Made with 100% PURE Boar Bristles- No Nylon. RAINCRY's Spiral Design increases the brushes' heating surface and channels air around the brush for less drying time and helps prevent snagging and damage. The bristles are not sharp where I have to worry about damaging my scalp. Took a little getting used to turning the hard handle.